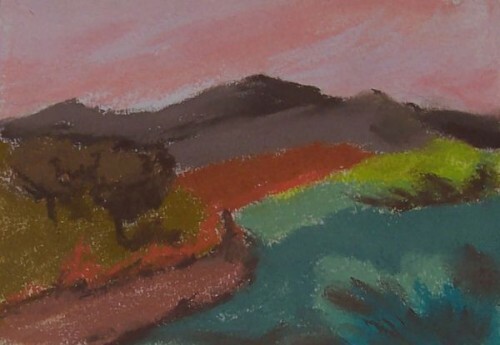 This entry was posted on Monday, July 16th, 2012 at 11:14 am	and is filed under 100 Pastel Challenge, Color, Landscape, Paintings, Pastels. You can follow any responses to this entry through the RSS 2.0 feed. You can leave a response, or trackback from your own site. WOW. 25 more to go and then you’re done!!! I can’t believe that you’ve almost done it! Not that I doubted you, but it seemed an impossible task. You’ll be able to “dine out” on this accomplishment for the rest of your life! I love these dusky colors in this one today.